Sold a home in 2015 in Belltown, Seattle, WA 98121. Sold a Condo home in 2015 for approximately $450K in Denny Triangle, Seattle, WA. Helped me rent a Single Family home in Denny Triangle, Seattle, WA. Found a tenant for a Multi Family home in Downtown, Seattle, WA. Sold a Condo home in 2015 for approximately $275K in West Queen Anne, Seattle, WA. Sold a Condo home in 2015 for approximately $1.1M in Downtown, Seattle, WA. Sold a Single Family home in 2015 for approximately $1.325M in Magnolia, Seattle, WA. Sold a home in 2015 in First Hill, Seattle, WA 98101. Found a tenant for a Condo home in Downtown, Seattle, WA. Sold a Condo home in 2015 for approximately $275K in Seattle, WA. Sold a Condo home in 2015 for approximately $575K in Denny Triangle, Seattle, WA. Found a tenant for a Multi Family home in Belltown, Seattle, WA. Sold a Condo home in 2014 in Downtown, Seattle, WA. Bought a Condo home in 2014 for approximately $500K in Belltown, Seattle, WA. Bought a Condo home in 2014 for approximately $250K in East Queen Anne, Seattle, WA. Bought a Condo home in 2014 for approximately $1.125M in Belltown, Seattle, WA. Bought a Condo home in 2013 in East Queen Anne, Seattle, WA. Sold a Condo home in 2013 in Denny Triangle, Seattle, WA. Bought a Condo home in 2014 for approximately $300K in East Queen Anne, Seattle, WA. Sold a home in 2014 in South Central, NV 89511. Some Seattle realtor reviews that earned the UrbanAsh team a 5-star reputation! Eight years ago we were fortunate enough to meet up with Ashley Hayes – and how lucky it was that we did. We hit it off right away and it’s been that way ever since. It’s nice to work with someone that is HONEST, TRUSTWORTHY, and RELIABLE. Our first working relationship was to rent out our One Pacific Tower Condo. She came and looked at it, went over all the particulars and to our surprise three days later she called that she had rented it. (And at top dollar.) She has pulled this magic three times in eight years and all have been good rentals. These were all people from out-of-town but she did her background check on each every one of them. She looks out for her clients as if it were her own property. When we decided it was time to sell our condo she active in the same manner. The market had just started to come back but she still got us our asking price. One of the many things we like about Ashley is that she is not pushy or over-bearing. She listens to you and cares what you have to say or suggest. 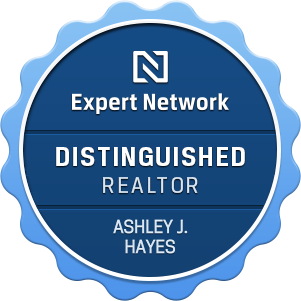 Ashley is very successful in the professional community as well as the neighborhood community. We have recommended Ashley to many of our friends as we are to you as she stands behind her words and deeds. 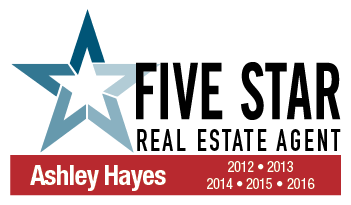 I want to whole heartedly recommend Ashley Hayes as a real estate professional, with emphasis on professional. Ashley was originally referred to me by a friend who had worked with her in leasing his downtown condos. 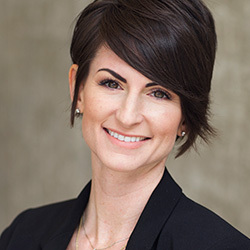 I have worked with Ashley since 2010 in her capacity as a leasing specialist and most recently as a sales specialist. I owned a condominium in the One Pacific Tower (OPT) in downtown Seattle. When the real estate market was down, she quickly identified tenants for me and vetted them appropriately with satisfactory outcomes. When the market turned around I naturally asked her to list the property for sale. The property sold within 30 days of listing and closed without a hitch 30 days later. 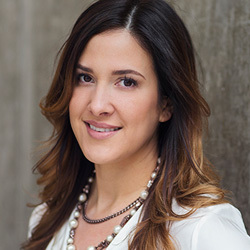 Ashley presents a professional image both for herself and for her clients. I have always been impressed by how quickly she has been able to achieve results. I am sure you would be pleased if you engage her. As I told you both times you worked for us (the rental effort a couple of years ago and the recent sale of 1601 in 2015), you were absolutely first rate. You are the consummate professional. You make the sellers life easy. You gave me excellent advice. You never promised one thing and then backed off which I have seen other brokers do. You also understand the market perfectly. I wish you could sell my house in Austin!